We provide simple solutions to complex technology needs for homeowners and business owners. We offer a wide range of services and continually strive to meet new consumer demands. General construction, Electrical installation, Data cabling, Plumbing, HVAC, Home media design, Surveillance wiring and installs, Security wiring and installs, Specialty Systems, Landscape Lighting, Whole House Music, Television Installation and much more. 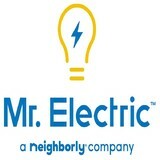 MK Electric Man has been providing superior electrical services to Lacombe and surrounding areas since 2000. Our team of Lacombe electrical contractors are highly trained and experienced with troubleshooting the true cause of complex issues and repair them quickly and efficiently so you aren't inconvenienced for longer than necessary. MK Electric Man is a full service electrician that offers a wide range of services to help you install, repair and maintain all of the electrical components in your home. 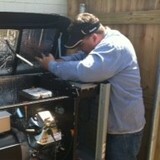 At AMC Electric, we are able to do any type of electrical repair. No job is too small and with just one call, we can do it all! Our professional electricians handle all types of electrical repair work such as trouble shooting and replacing existing wiring systems, circuits, ceiling fans, outlets, dimmers, switches, telephone jacks and more. KCES is a full service electrical contractor providing the electrical needs for marine, commercial, industrial and residential clients. Our goal is to provide “Excellence through Experience” with unsurpassed customer service, quality, safety, cost control and efficiency. KCES employs professionals committed to implementing innovative electrical services to meet all our clients’ needs. The technical expertise and collaborative spirit of KCES’s high performance team can troubleshoot, solve or find solutions to your electrical problems. 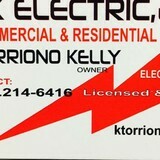 Our company is small enough to provide a personal touch, yet large enough to meet all of your electrical needs. Services are available 24 hours a day, 365 days a year. Our business is our livelihood but it is also so much more. Guillory's Electric LLC was started to fill in a void in the current market and to make a business that people can place their trust in. Over the years we have never lost our commitment to our clients and that is what has allowed us to succeed in a very competitive industry. The employees of Guillory's Electric LLC stand committed to our purpose and will provide the best service! What do licensed Pearlington electricians do? An electrical contractor plans, installs and repairs wiring in structures. He or she works closely with the home’s general contractor or remodeling contractor to determine the specific electrical needs for the project and to ensure that the wiring will meet Pearlington, MS building codes. An electrical contractor’s job also includes installing and repairing fixtures, switches and other visible components of electrical systems. With today’s technological needs and advances, many electricians in Pearlington, MS also are trained to install fiber optic and coaxial cables for electronic equipment. Certain electrical companies may design and install data systems and wire for security features such as alarms too. Some Pearlington electrical contractors specialize in specific areas, such as HVAC, low-voltage appliances and systems and more, so be sure to ask about their training to see if it fits your project needs. Find a certified Pearlington electrician on Houzz. Narrow your search in the Professionals section of the website to Pearlington, MS electrical contractors. Here are some related professionals and vendors to complement the work of electricians: Lighting Showrooms & Sales, General Contractors, Solar Energy Contractors, Heating & Cooling Sales & Repair.